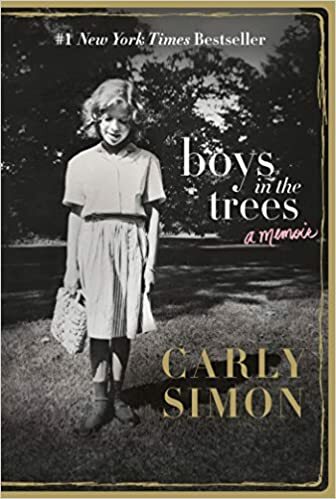 Harvard Book Store welcomes award-winning musician and author CARLY SIMON and WMVY's BARBARA DACEY for the paperback release of Simon's New York Times–bestselling memoir, Boys in the Trees: A Memoir. This event, taking place at the Brattle Theatre, is co-sponsored by Harvard Square's Club Passim. Hardcover copies of Boys in the Trees will be available for purchase at the event, in addition to the featured (and 20% off!) paperback edition. The audio book CD and companion CD to Boys in the Trees will also be available for purchase. The author will be signing and personalizing copies of the book as well as the audio book and companion CD. No memorabilia or other CDs. Due to time restrictions, no posed photos during the signing. Since 2005, Barbara Dacey has been mvyradio Director of Worldwide Programming. Barbara hosts mvyradio's New Music show, "Uncharted Waters." For over twenty-six years she has been a constant at mvy, a most familiar and distinctive voice, whose contributions of talent and guidance to mvyradio continue to this day. Carly Simon is an American musician and children's author. Simon achieved international fame with her third album No Secrets which spawned the worldwide hit "You're So Vain," for which she received three Grammy nominations, including Record of the Year and Song of the Year. Over the course of her career, Simon has amassed 24 Billboard Hot 100 charting singles, 28 Billboard Adult Contemporary charting singles, and has won two Grammy Awards. For her 1988 hit "Let the River Run," from the film Working Girl, Simon became the first artist in history to win a Grammy Award, an Academy Award, and a Golden Globe Award for a song composed and written, as well as performed, entirely by a single artist. She was inducted into the Songwriters Hall of Fame in 1994, inducted into the Grammy Hall of Fame for "You're So Vain" in 2004, and awarded the ASCAP Founders Award in 2012. In 1995 and 1998, respectively, Simon received the Boston Music Awards Lifetime Achievement and a Berklee College of Music Honorary Doctor of Music Degree.